REPORT: Donald Trump To Blame Mexican Billionaire Carlos Slim For Recent Wave Of Assault Allegations - Joe.My.God. Donald Trump has reportedly decided who is to blame for the wave of sexual harassment and assault allegations that have battered his campaign in recent days. The Republican presidential candidate plans to say that Mexican billionaire Carlos Slim is working in cahoots with the Hillary Clinton campaign to produce the sexual assault and harassment stories that have appeared in outlets like the New York Times, according to the Wall Street Journal. Trump’s attacks on Slim could begin Friday. 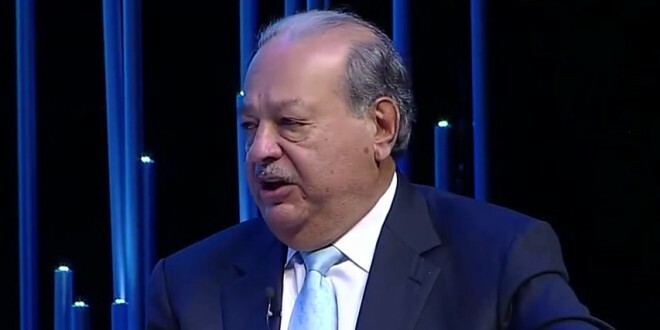 Turning his guns on Carlos Slim would dovetail with several of Trump’s campaign themes, from his claim of a media conspiracy against him to his attacks on Mexican immigrants. The Slim family owns some 17% of the Class A shares in the New York Times, making it the largest individual shareholder, and has given more than $250,000 to the Clinton Foundation over the years, the Journal reports. Companies controlled by Slim lent the New York Times Co. $250 million in 2009 in the wake of the financial crisis. In January 2015 he converted the warrants he bought then to more than double his share in the company to 16.8%, according to Reuters. Slim is currently ranked by Forbes as the world’s 7th richest person with an estimated net worth of $50B. Slim had topped that list from 2010 to 2013.